So, you need a few DIY dog training tips to motivate you to start that all important task of educating your dog? Sometimes training a dog means first training oneself. There are really only five basic human behaviors that make DIY dog training easy. When you master them, you are well on your way to a well-mannered dog capable of understanding and following the basic commands you want him to learn. ...process of teaching or learning a skill, the acquisition of knowledge. ..
To be a well socialized dog in today’s world requires the acquisition of a set of skills including the basic commands along with other manners that allow the dog to fit comfortably within a family setting. By basic commands, I am referring to those skills such as sit, stay, wait, come, leave it, and drop it and so many more. 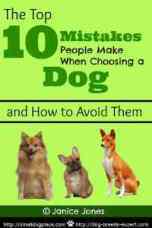 Dogs also need to learn to walk on a leash nicely and eliminate in the appropriate area. Training often includes removing unwanted behaviors such as begging, barking, digging, and jumping up. Sounds like a monumental undertaking? The good news is that it doesn’t have to occur at once. Training is an ongoing process that requires teaching, practicing, perfecting, possibly re-teaching and then practicing again. When preparing notes for this DIY dog training tips article, my mind immediately reverted back to my early childhood education and psychology background. Whether you are training a puppy to sit or a toddler to use a fork instead of fingers, the principles are very similar. Much of what professional trainers use is taught in an introductory psychology class, but applying these principles becomes as much an art as it is a science, in my opinion. Before I go any further, I have to admit that I’m not a professional dog trainer. My knowledge comes from what I learned for my undergraduate degree in psychology, knowledge transference from my field of psychology, extensive reading about dog behavior, trial and error, and hands on experiences training my own dogs. Each trainer is different and as you begin to train your puppy, you will realize that what works for some doesn’t necessarily work for you. 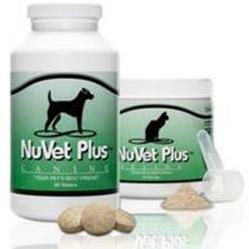 Being able to apply principles and modify them to meet your dog’s needs is what good dog owners do to train their dog. Luckily, there are many different methods that do work, so one can pick and choose the best one for them. As an educator, I always look at ways to help me remember certain concepts. 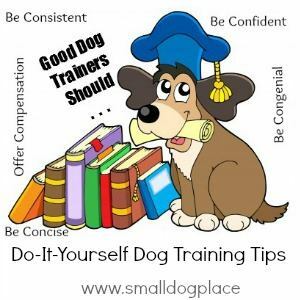 Without trying to minimize the process of training a dog, it is easier to think in terms of basic overall principles that can be applied no matter what you are trying to teach. Whether you’re training a toddler to say thank you or teaching a dog to stay, consistency is very important. Your doggie student needs to know that when you say, ‘Sit,” you mean it and will follow through until they have completed the task successfully. For dogs, it also means doing things the same way, each time, so as not to confuse. For example if you use the word “sit” and a hand signal that means sit, you must use the same word and signal every time. Dogs can learn words such as sit, but they may not understand, plop yourself here, find a spot and sit down or stop being stubborn, you know what I want you to do. This also applies across family members. If you are going to be successful at training your puppy, everyone in the home has to be on the same page, using the same words and the same signals. Consistency always means insisting that the dog follows through on the command. It requires you to assure that the dog does what you want him to do or you will help him be successful. If you say, “sit” and your dog just looks at you, then you must physically help him get into a sit position. This DIY Dog Training Tip, Consistency works good on kids too. Dogs are very sensitive to our voice tone and will respond far more readily to an upbeat, happy, friendly voice than one that is yelling commands. Training should be fun and will be much easier if you and your dog are enjoying the time together. Dogs want to please, but a mean or harsh voice just scares them into inaction. Keep it light and congenial and learn to modulate your voice. Dogs are capable of learning many human words and actions. However, they only need to be told once. The best commands are done by speaking their name and then the command and waiting for compliance. When one repeats a command over and over again, louder and louder, hoping the dog will finally get the idea, they are just asking to be ignored. Think of the child who won’t do as you ask until you’ve asked many times with each request spoken at higher and higher decibels. Repeating a request over and over again teaches the child as well as the dog that you can be ignored at least until you really get angry. What a waste of energy on your part. When a skill is first introduced, some help on your part is necessary. Being confident means knowing when your dog understands what you want him to do and will do it correctly or you will be there to help him do it correctly. The second part of this skill is being willing to correct his mistakes each and every time. This seems logical, but not as easy as it sounds. Your puppy is out on the lawn and you are sitting on the patio sipping a cool glass of lemonade. The puppy finds a fresh stool sample left by a passing dog and decides it might be delicious enough to sample. UGH! You yell, “leave it.” And continue sipping your drink. You are not going to have a big impact on changing the dog's behavior. No, it’s not a bribe, but everyone likes to be compensated for their work. Rewards are very important as a positive motivator. Rewards can be in the form of praise, hugs and kisses, a food reward or toy and playtime. Remember, your dog does not have an intrinsic motivation to do whatever you say. After all, he is a dog and not a robot. Most dogs have a “what’s in it for me,” attitude, so rewards help your dog believe that what he is doing for you is much better than what he could do on his own. 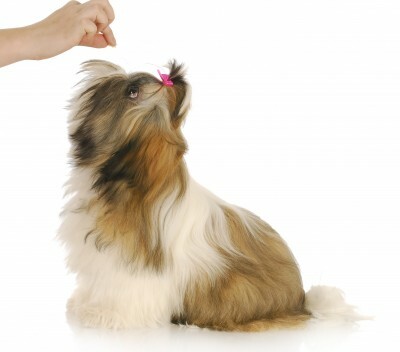 At first, dogs need to be rewarded for correct behavior each time they do something right. Later on, you will want to reward on a more random schedule. Then, use other methods such as toys, praise, or cuddles instead of food rewards. So, these are the five human behaviors that DIY Dog Training easy: Consistent, Congenial, Concise, Confidence and Compensation. If you can master them, you are well on your way to a happily trained puppy.